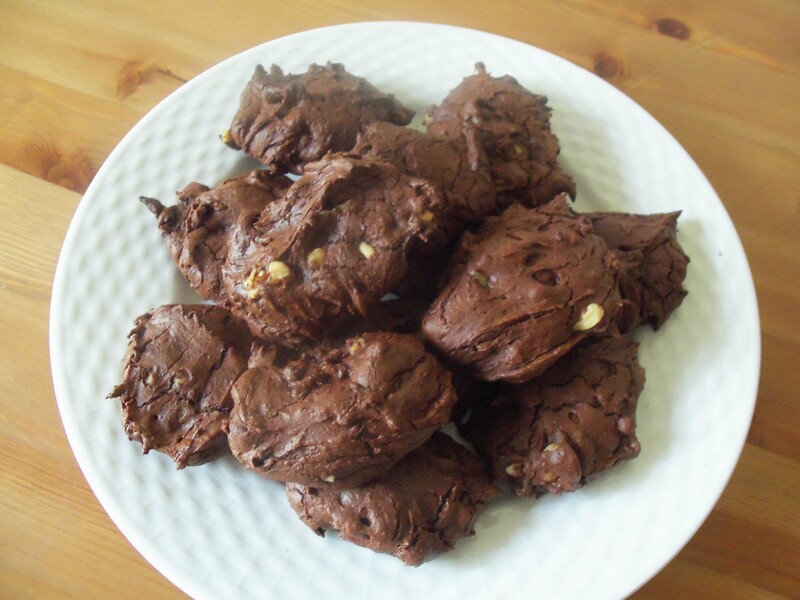 This is a delicious an incredibly easy recipe for brownie cookies. I was sitting at home craving anything sweet. So I went to my baking cupboard and tried to figure out what I could possibly make with what I had. First, I always have chocolate baking squares on hand so that gave me a great start. I don’t know about you, but I LOVE chewy moist cookies. So chocolate + moist cookie sounded amazing. These were the perfect fit to satisfy my craving! Keep Reading to get the recipe! (1) Preheat oven to 350 degrees. Line baking sheets with parchment paper. (2) Put the chocolate and butter in a bowl over simmering water. Stir occasionally until completely melted and smooth. Stir together eggs, vanilla and sugar in a separate medium bowl. In a small bowl, sift flour and baking powder. (3) Add melted chocolate to egg mixture and combine well. Slowly fold in the flour and baking powder mix. 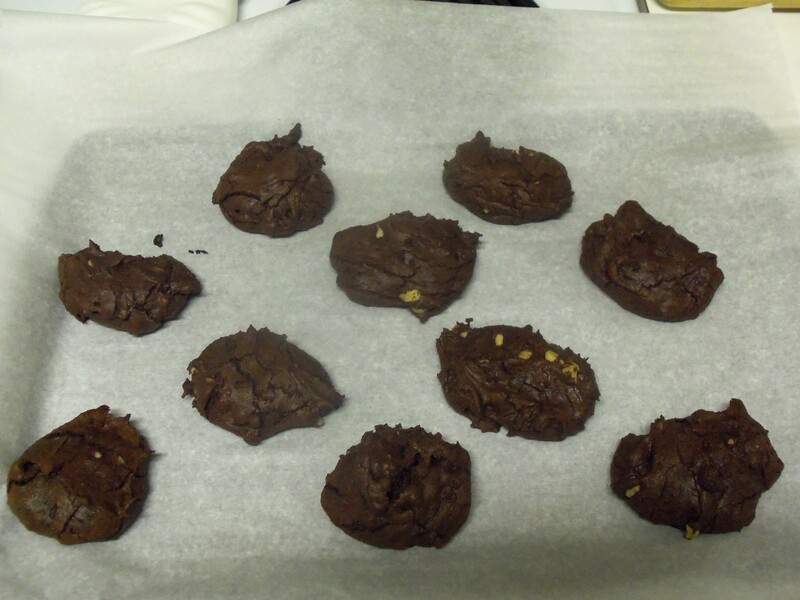 Then gently mix in chocolate chips and walnuts. (4) Bake for 8 – 10 minutes. Make sure not to over bake so you can get the moist flavor! 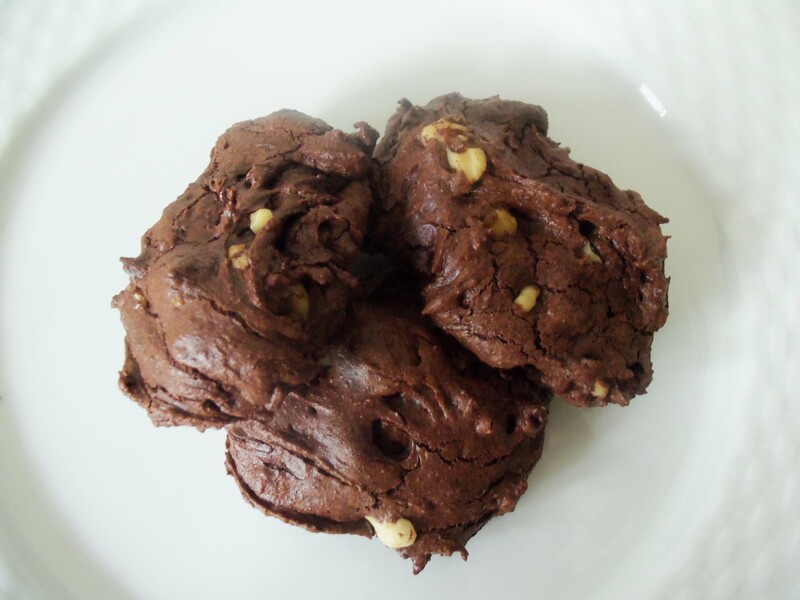 (5) Get a glass of cold milk, to make these cookies even better.